As the southernmost beach suburb of the Sydney Northern Beaches, Manly is easily accessible from the city, by either water transport including water taxis from the city. It is also immensily popular as a weekend destination for both locals and visitors. With more than one beach, you can opt for a calmer harbour beach, or beaches with waves, along the oceanfront. 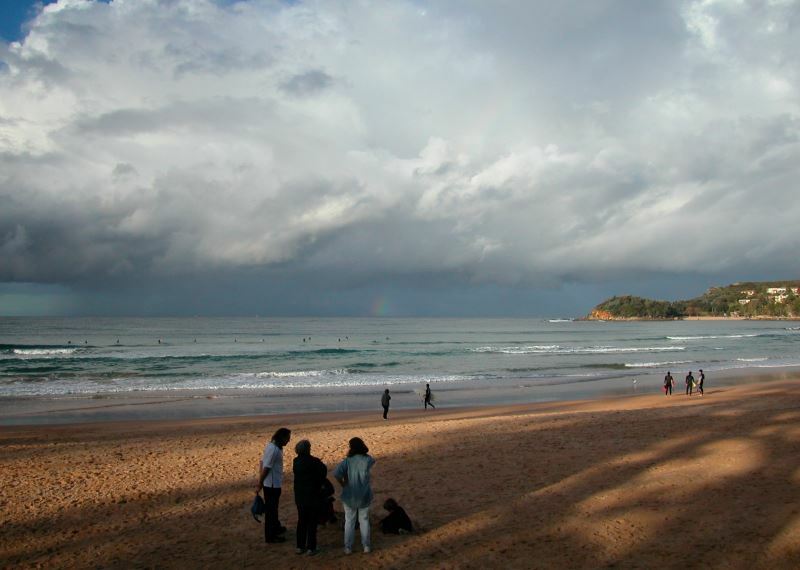 Manly Beach on the ocean, is more traditionally divided named South Steyne, North Steyne and Queenscliff. Each of them has a Surf Life Saving Club that provide regular beach safety patrols on warmer and all busy days. Surfers can usually find some surf at the beaches. On big days, strong currents and rips can be hazardous for swimmers, swim between the flags at patrolled beaches. Manly derived its name from a visit to the area by the first governor of the newly declared colony of New South Wales, Governor Phillip. Describing the local Aboriginals as ’Manly’, it became its placename as well. You can catch Manly Ferries, Jetcats and Buses from the city, as well as water taxis. In fact, a very enjoyable way to visit Manly is to take the ferry from Circular Quay in the city over Sydney Harbour, a half hour, eleven kilometre journey. The harbour has retained much of its beauty, as most visitors will discover. Upon arrival at Manly Pier, a handy tourist information centre located there can provide you with all you need to know about what to do, what to eat and just about everything else you could want to know. The Surf Life Saving Club at Freshwater performs regular life saving duties at the beach for much of the year (currently October to April). Please follow their instructions, they are there for you and your families safety. Remember, when swimming, Stay Between the Flags! There is a regular bus service from the city to Manly Wharf, located on the north side of Sydney Harbour. You can catch a regular bus service from Manly (151). Catch the ferry from Circular Quay at the foot of the city, enjoy a ride on the ferry or jetcat over the stunning harbour and take the bus past more beaches and scenery. The bus stop is at the Manly Wharf where the Sydney ferries and jetcats travel to. From the city, catch 155 or 156 to the North Shore. Bus services start at Wynyard Train Station in the Sydney CBD (centre). The Map shows Wynyard, bus stops are around the green park next to the station.